There is an unspoken rule for the Oscars that states the following: if you are doing a biopic where you play someone overcoming a disability or something of the sort, you will win an Academy Award. 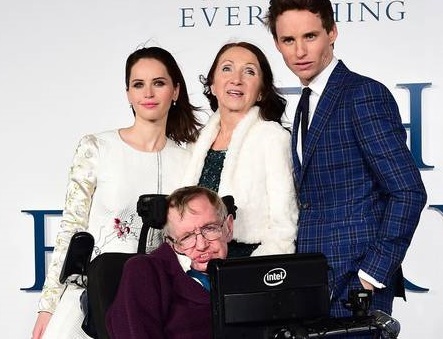 So it will be no surprise when Eddie Redmayne picks up his Best Actor statuette for his portrayal of Stephen Hawking in the heartrending The Theory of Everything. Following the cosmologist’s life since his early days at the University of Cambridge, where he met his future wife Jane and the first symptoms of ALS started to show, it is Redmayne’s and Felicity Jones’ performances what sustain the film and hold it together. Without them, The Theory of Everything wouldn’t be the same. 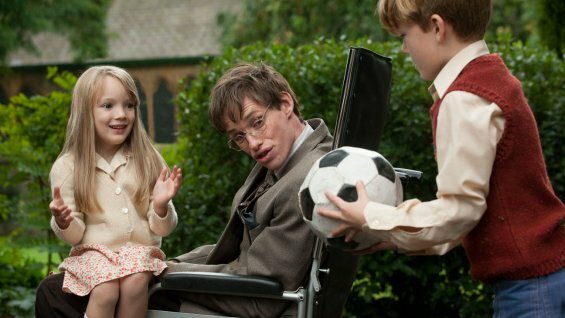 The movie, though, allows us to understand Hawking better. Like many people, the only version I know of the man is that of the genius in a wheelchair with a machine that speaks for him. To go back and see everything he went through and how he overcame so many obstacles with an astonishing dignity is unique. Besides Jones (truly impressive in a register we are not used to see her) and Redmayne, director James Marsh captures the atmosphere of each decade, as the film evolves from the 1960s to the early 90s, in a subtle way that quickly allows the audience to notice the passing of time. This film is as much about Stephen as it is about Jane (after all, it is based on her memoirs) and Jones owns the screen every time she is in it. With a simple gaze, with a twist of her mouth, the emotion that flows from her performance is so pure that critics will see her in a new light from now on. And the same can be said of Redmayne, who really begins to stand out when the disease takes over Hawking’s life (again, disabled man overcoming obstacles = Oscar. And a well-deserved one). Despite all of this, Anthony McCarten’s script tends to fall flat at times, lacking a dynamic that is quickly compensated by the actors’ performances. From start to finish, this is not only a film that lets us into the life of one of the greatest minds of the 20th century, but also a lesson in acting where we learn that Jones and Redmayne are capable of extraordinary things. And the end credits are simply beautiful. And it has not one, but two Doctor Who references. What more could I ask for?